 The Asbestos Disease Awareness Organization (ADAO) was founded by Linda Reinstein and Doug Larkin in 2004 and headquartered in Redondo Beach, California. ADAO is the largest independent 501(c)(3) nonprofit in the U.S. dedicated to preventing asbestos exposure, eliminating asbestos-related diseases, and protecting asbestos victims’ civil rights through education, advocacy, and community initiatives. Read more about ADAO and “Who We Are”. Although ADAO has exponentially grown since 2004, our mission and goals have remained constant. Educate the public and medical community about asbestos-related diseases and preventing asbestos exposure. Support research that leads to early detection, prevention and a cure. Collaborate with organizations around the world for a global asbestos ban. Raise awareness that asbestos is still legal and lethal in the U.S. Protect asbestos victims’ civil rights. Unite asbestos victims to Share Their Stories, learn about treatment options, and support each other. Join our ADAO social network community today. This web site is designed for informational purposes only and is not to be construed as rendering medical or legal advice or professional services of any nature. The information provided through the Asbestos Disease Awareness Organization web site cannot be used for medical or legal advice. The laws of the State of California will apply to all transactions resulting from this site. Any comments are the opinions of the Asbestos Disease Awareness Organization and must not be interpreted or used in any way as medical or legal advice. Visitors to this site and readers of its content should not act upon any information here without seeking advice from a properly licensed physician or attorney. To contact a physician, go to the American Medical Association, or contact your personal physician. If you wish to send us an e-mail, please keep in mind that your message is not secure and may not be considered confidential. PLEASE NOTE THAT CONTENT OF THIS SITE IS COPYRIGHTED MATERIAL, OWNED BY ADAO AND POSTED FOR THE BENEFIT OF OUR READERS. DO NOT COPY WITHOUT PERMISSION.